Ultrasound: We have a multi-functional and portable ultrasound machine. These state-of-the-art machines allow us to obtain the best quality images for tendon, joint, chest, abdomen and reproductive exams. Using different types of ultrasound probes, we are better able to diagnose lameness problems and colic issues, as well as offer high quality reproductive services. Endoscopy: Flexible endoscopy allows us the opportunity to look inside areas of the horse that would otherwise be inaccessible and is a valuable diagnostic tool. Our endoscope allows us to examine the nasal passages, pharyngeal region, guttural pouches and upper airways. We are also able to examine the lower urinary tract to look for bladder stones and examine the mare’s uterus to identify abnormalities that may affect her fertility. Camera and video equipment allow us and our clients to watch the scoping on a monitor during the examination and record each session. 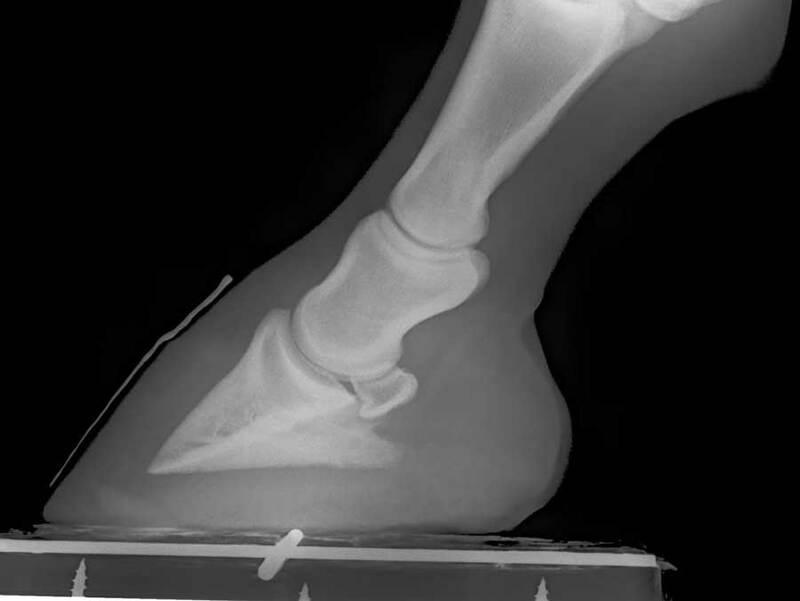 Radiography: Radiography is a very important diagnostic aid for a number of problems including, but not limited to fractures, heart and lung conditions, intestinal disorders, spinal problems and lameness. For field work we have a portable x-ray machine that is easily handled.